Want to spruce up your backyard? We know the feeling. Summer’s on the way and your backyard is looking less than stellar. Maybe it’s the lighting? Perhaps there’s just not a lot going on? Whatever the reason, we want to help. Here are 8 projects you can try that won’t break the bank. 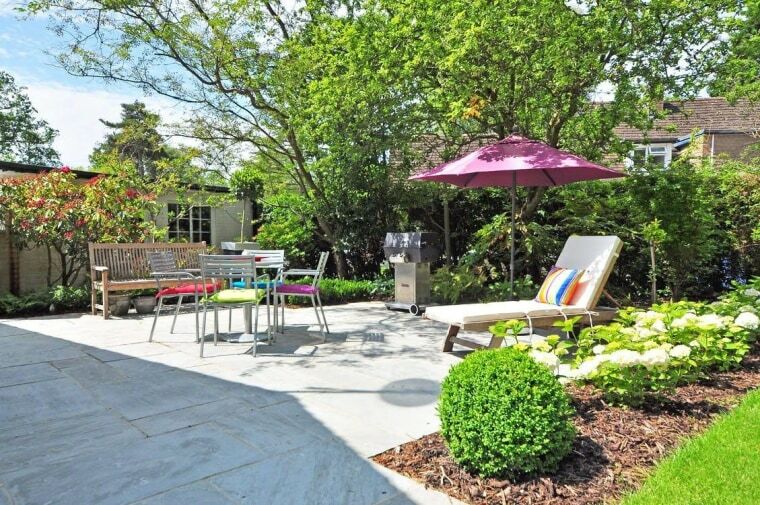 Outdoor furniture can be quite costly, but there are cheaper options. For example, you can create bench seats (of any length) by stacking concrete blocks. Then, you simply pop a supporting piece of wood on top with a foam pad and cushions. Easy! Garden solar lights often get a bad rap when it comes to reliability. No doubt you’ve bought a set and been quite pleased, only to find they eventually sputter out after a few months. What if we told you the answer was clear nail polish? Apply a thin coating to the solar cells, and you’ll find they work like new again. For lights with glass, you’ll want to try glass cleaner. If you’ve got pavers or tiles in your outdoor area, chances are you’re constantly in a state of war with the weeds. There’s nothing quite like the sight of green spots to make a patio look unkempt and messy. The solution? Use concrete filler to seal up the cracks (after removing the weeds, of course). With just a jar, citronella oil, some candle wax and a wick, you can create your own citronella candles for your outdoor area. These are far more cost effective than store-bought alternatives, and you’re able to make as many as you need to keep insects out. Want to cover up a drab wall and grow delicious herbs at the same time? Time to pull out that old shoe organiser. Simply hang it outside on a wall that receives ample sunlight and fill each pocket with potting mix. After planting your herbs, you’ve got the perfect addition to your BBQ. Get a good deck cleaning product and a can of good quality deck oil and you can transform your outdoor area in an afternoon. Those mailboxes you attach to walls make the perfect outdoor toolboxes, allowing you to pop in matches, trowels and other useful gardening implements. You’ll need this one if you create a shoe organiser herb garden! Nothing draws the eye quite like a captivating collection on a tidy shelf or along a retaining wall. But what do you display? Well, you could pick up several succulents and cacti from your nearest garden centre, or perhaps arrange a series of mason jars with lights built right in. Mould and grime on your deck? This can seriously tarnish the look of your outdoor area. Get a good deck cleaning product and a can of good quality deck oil and you can transform your outdoor area in an afternoon. 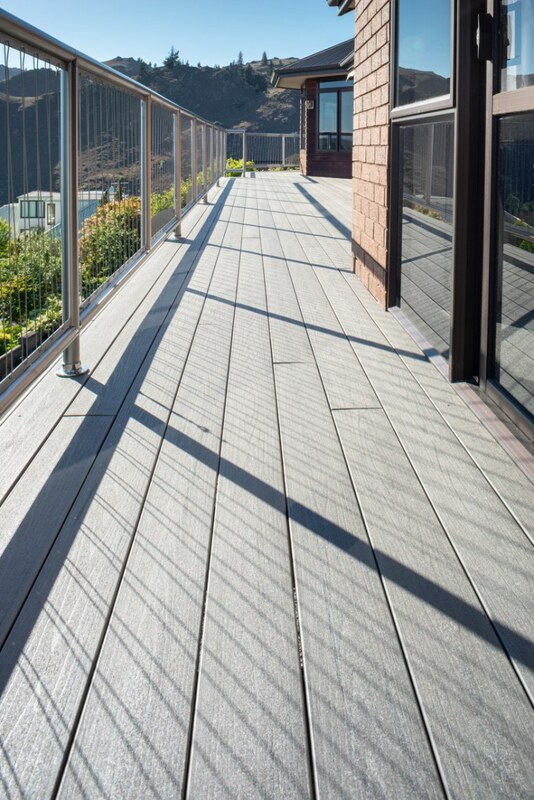 Plus, your deck will last much longer before it needs repairs or replacement. If you’re planning a home project, see what’s new in Trends Home, Kitchen and Bathroom for inspiration. We’ve put together handy advice articles, projects with inspiring photos and much more! You can access these areas using the navigation bar at the top of the page.